It's true we've been sitting on a plethora of UFO and Aerial Phenomena for the last 80 years, up here in northwestern Ontario. I did a live video the other day, and one of the viewers hadn't heard anything in Ontario. Truth is, there is a massive group of eye witness sightings which have gone unreported. You'd be quite surprised. Being Dee McCullay, inevitably everything seems to filter through me over the years. And not just that, but my friend, author Kim Casey is now looking for stories in the area as well. We are actually collaborating to make a documentary in which I am calling: Northern Lights (A UFO Documentary)! If you liked Sasquatch on Lake Superior, then this one will be right up your alley! It's going to be great collecting all the eye witness statements to video, with both her and I writing the historical case files, and other statements which are collected at present, and past collections into a new documentary, the first of it's kind in our area. It seems were in a UFO hot spot, yet people aren't paying attention. But if your ear is to the ground like mine, these stories will begin to reverberate your way. I was working on renovating a house in Nipigon. It was an enjoyable job, but the attic was something I didn't like. It was hot, itchy and hard to breathe, taking all the old insulation out through a small hole in the attic. On day 2 of shoveling old white puffs of insulation out through the small door, I needed a breather. I climbed out and rested atop the ladder and happened to look to the sky. It was a mix of sun and cloud that day. There were large clouds above and offered some relief from the sun that morning. I would say it was around 10 AM. I sat there and looked to the sky, lo and behold I saw a silver craft flying overhead, a fair distance up, round with a separate circular shape on the underside. It had venting along its circumference. I watched this thing as it slowly glided into the clouds obscuring it. I was astonished. I just sat there pondering the spectacle. About 5 minutes later it showed up again! It was so weird because it took the exact flight pattern it had made 5 minutes earlier. right back into that large cloud. I told my cousins when they showed up after finishing their workday, they were off at 1:30. Of course they laughed and said I was working too hard. But I didn't care. I knew exactly what I saw, and this was not a cause of overheating or any other bodily disfunction causing an hallucination. In fact when I saw it the second time, I was down the ladder shoveling insulation into the wheel barrow, and focused on the venting on the craft. Same craft, same height, same vents, same flight path. Right over top of me. Interesting. It was a cold winter night, I got a call from my parents. They said, "You've got to come over and look outside over the trees, there's 3 weird lights across the road." If Dee hears something like this, happening now, Dee is there. I jumped in the car with my girlfriend and sped off to the scene. We got out at my parents place, where I met them on the front step in their coats watching the lights. Sure enough. Across from my parents place is a huge field, and on the edge of that field are tall pine trees. Above the pine trees about 100 feet up was something hovering. There is no tower out there. Nothing but pine trees. It was a cold night, I will give you that, and it was clear. But this was no set of stars. They were clearly over the trees not more than a half a mile away. I would say over a house just down the highway. They hovered silently, no sound but the occasional semi truck driving by leaving a mist hang in the air. To us, it looked as if a plane was stuck in mid air, while a white light hung below it. The sighting for me lasted about 5 minutes. It was there a lot longer. It started to move. We decided to go check it out. We drove off after these lights, trying to catch up and had to make a quick decision which one to follow as they diverged. We decided to go after the bigger one, as the other was already going over the inaccessible trees South. We got ahead of it on to the dump road to the pipeline. Where by under the light of the full moon I could see the shape. I was freezing waiting for the perfect view. And there it was a plane. Then what was the other one that flew off? It was a lot smaller than the plane, made no noise. In fact it was eerily silent upon the first encounter. Now I could hear the plane as I exited the vehicle. This was definitely not a refueling plane, it looked like it was a small 2 seater. It left me wondering what was going on and what could the other one have been. As the two were just stuck in mid air motionless. A plane like that does not hover. 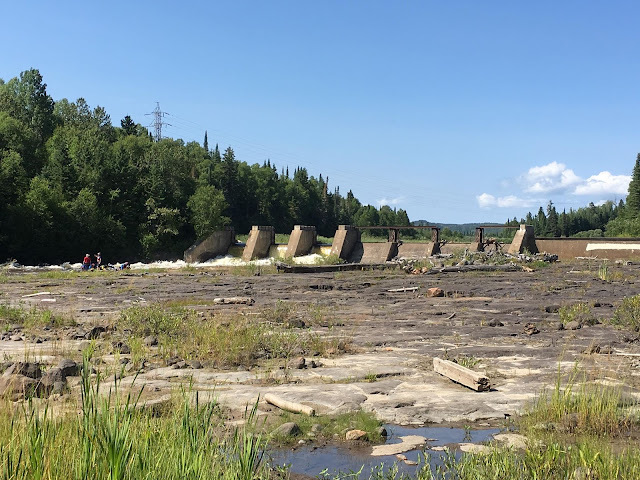 My girlfriend and I were coming back from Thunder Bay and were finally close to home at one of the last straight stretches before the Black Sturgeon River. Rounding Davies corner there was a brilliant white light. I had my girlfriend reach into the back seat for the camera under a pile of junk. We pulled over and watched it wink out just as the camera missed it. It was a stationary bright white object in the sky. How long had this thing hung there before we had made that turn coming up the hill at Davies? It's anyone's guess. We were the only car pulled over to watch it. Finally we drove home. I did a photoshop rendition of what was seen and posted it online. Then I noticed in Texas, the same white light was seen and photographed. Original posting: "Okay... Did you see it? If you're from Red Rock West, Hurkett, Dorion - Did you see it? We tried to get it on video, but it faded from sight by the time we got the camera up and running. 9:35 PM - It was a bright white light hovering in front of a cloud and caught our attention right away - At first I was thinking, that's a bright star, then realized there was a cloud behind it. As we slowed and grabbed the cam it faded out. If I were to make an educated guess it would have been between the hills at Suicide Hill.... Missed it. Damn!" I posted my photo trying to explain we had seen it as well, and the photoshop I used to re-create it. Well this idiot misunderstood everything I was trying to explain and made it about her, and saying she didn't fake anything. Screw it. I was done with her noise and removed the photo. It was like trying to talk sense to a rock. It was definitely not a star as there was a cloud behind it. The object was so bright, it was a focal point amidst the whitish cloud. I am surprised no one else stopped to look at it with us. 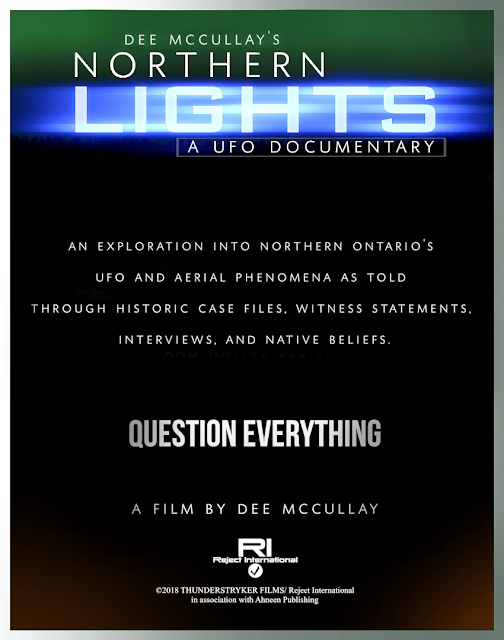 Guess nobody has time to look at UFO's when traveling across Ontario. On my way back from the US, I came through Sweetgrass, and had 3 provinces to go until my home province. Well here I was driving in the night, it had to have been about 2 AM or so. I saw this bright white light just hanging in the sky. It was too high up to be on a hill or on a tower. I drove a long time, and was visible for miles upon miles. It must have took about an hour before I could no longer see it. I believe it was a UFO, based on it's height. Not a tower, not a plane, not a star, it was so bright, the crappy cellphone managed to make it visible enough to make out that there actually was something pretty bright burning in the wee hours of the morning sky. I was like, yep, there's another one. The footage was so bad it wasn't even worth saving. But was there. Me and my friend stayed up late drinking coors light around the fire, yuck, not even enough to get a buzz, as to me its just water. Well we were admiring the stars in an awkward sort of friendship, looking for things to talk about, just as the weather is, and other things you scrounge to say when feeling this way together. 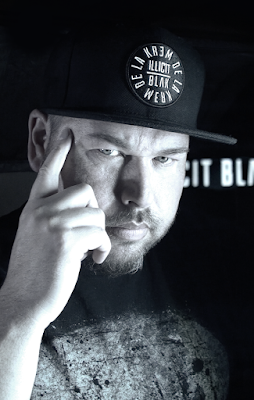 We got onto the subject of UFO's. Suddenly we saw this white light slowly moving in the sky. It looked as though it was shining a light down on us. It kept moving, Next it seemed to flip its focus off of us, and the shining light went out. The object itself was bright white, big and kept it's glow the whole time. It was odd as we were just talking about the many UFO's we had seen and next thing we knew there was one. 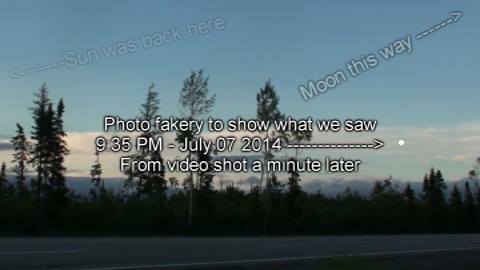 The Black Sturgeon area has quite a history of UFO and Aerial Phenomena associated with it, and we were there in the midst of it seeing for ourselves. I made an animation of it exactly as I saw it, on Sunday after returning to civilization. I will try and upload the animation as well. The funny thing was that Sunday there were reports of something seen entering earth's atmosphere from the space station, which Nasa's live stream had been cut off. You can watch this video on YouTube Streetcap1's Channel. Interesting stuff! I believe that night we had seen what had entered our atmosphere and it wasn't a meteor. As a meteor doesn't travel over us with a focused light. 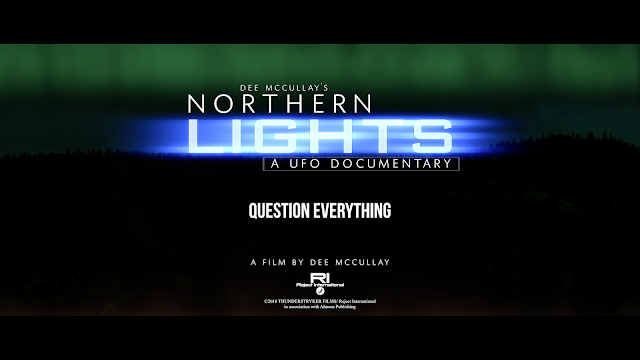 If you'd like to be a part of this documentary, we are currently looking for in camera interviews in Northwestern Ontario, specifically Red Rock, Nipigon and surrounding area for Northern Lights (A UFO Documentary) We will also include accounts from Thunder Bay. Send your story to DeeMcCullay/ we will hear you out! Thank you!